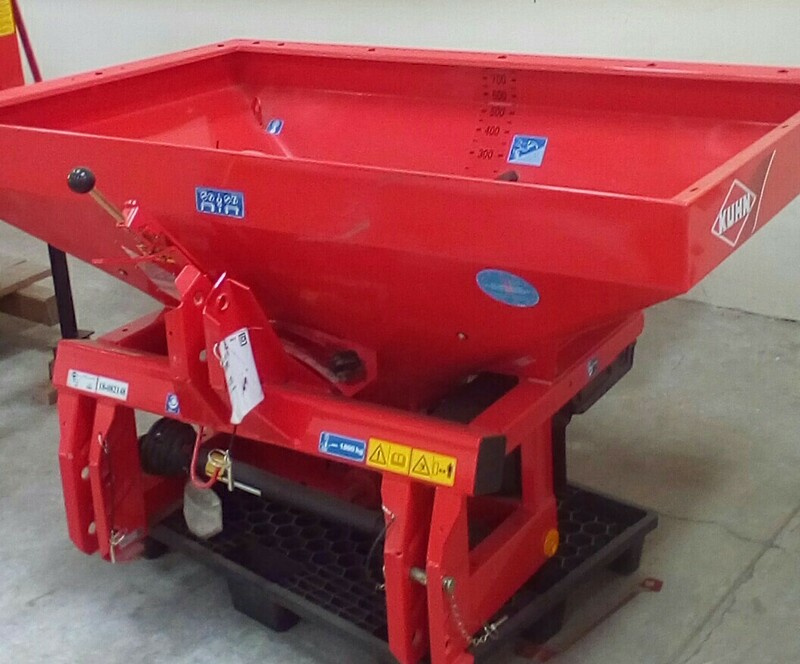 Distributing fertilizer in specialized crops, such as vineyard, orchards, market gardens or in fields of mixed crops/livestock farms: Kuhn MDS range of fertilizer spreaders offers a simple and adapted solution for each of these operations. Flexible disc for versatile applications: With its flexible adjustable vanes, the multi disc system (MDS) spreading disc are able to spread all types of fertilizer, fine seeds and slug pellets with highest precision and adapted spreading patterns. The MDS spreading discs stand their ground during standard spreading, late spreading in high crops as well as yield – optimized spreading at field borders. For your comfort, all is possible without removing or changing the disc or vanes. According to the type of fertilizer and the working width, the vanes can be adjusted precisely in length and orientation. Thanks to their well marked, three dimensional position, the user can set the vanes quickly and easily. M1 discs are delivered as standard for working widths from 10 to 18m. The installation of X vanes allows obtaining a working width of 20 to 24m without impairing the spreading quality. Nothing could be simpler than changing the application rate from one field to another. It can be done by positioning an opening stop on the continuous proportional direct flow control D. F. C scale. With its help, you can modify the application rate without any extra equipment. The Principle : The positioning is modified by the same percentage as the application rate. This means for example that you simply increase the opening by 10 percent for a 10 percent higher. The MDS means highest precision in fertilizer spreading as well as exact spreading patterns for different fertilizers, fine seeds and slug and snail pellets. Previous postShould I buy new or used farming equipment?